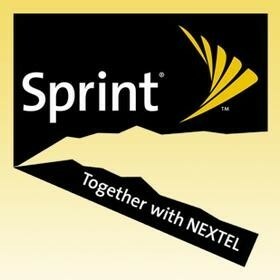 Sprint is decisively driving the final nail in the coffin of their failed merger with Nextel by announcing plans to shut down the network, perhaps as soon as June 30, 2013. The third largest US wireless provider purchased Nextel in 2005 in a deal valued at $36 billion to form the Sprint Nextel Corporation. At the time the merger seemed like a great idea and shareholders overwhelming approved the merger but as CNN highlights, the idea never really came together exactly how the two companies had envisioned. Part of the problem was the fact that Nextel ran on a different wireless technology than Sprint. This meant that Sprint had to place Nextel radios on all of their towers and Nextel had to do the same with Sprint radios. As you can imagine, having to manage and allocate assets for two networks isn’t terribly efficient. The Nextel network is now extremely outdated, as PC World notes that the iDEN system it uses offers download speeds under 100Kbps, a fraction of what modern LTE and even WiMax is capable of. The key selling point of Nextel, their push-to-talk service that replicates walkie-talkie functionality, has since been migrated to their CDMA network as Direct Connect. The good news moving forward is that Sprint can reuse the 800MHz wireless spectrum for their planned LTE network but the real challenge could be selling the CDMA service to the 5.4 million Nextel subscribers. Sprint will start notifying Nextel customers about the service termination starting June 1 with plans to encourage those still on the network to make the switch.